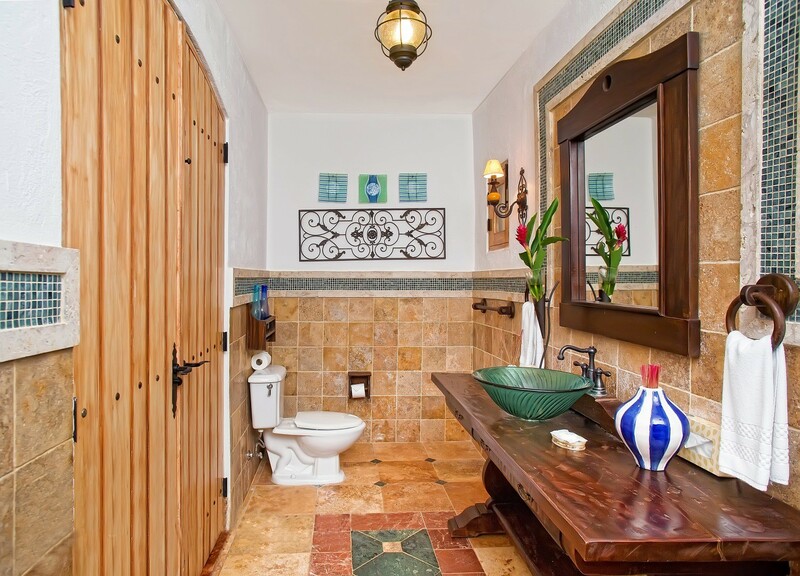 Radiating Spanish colonial appeal, the exclusive Villa del Campo greets visitors with its elegant circular drive of terra cotta tiles and a port cochere framed by swaying palms. Step through and enter a remarkably beautiful and private little paradise of your own. 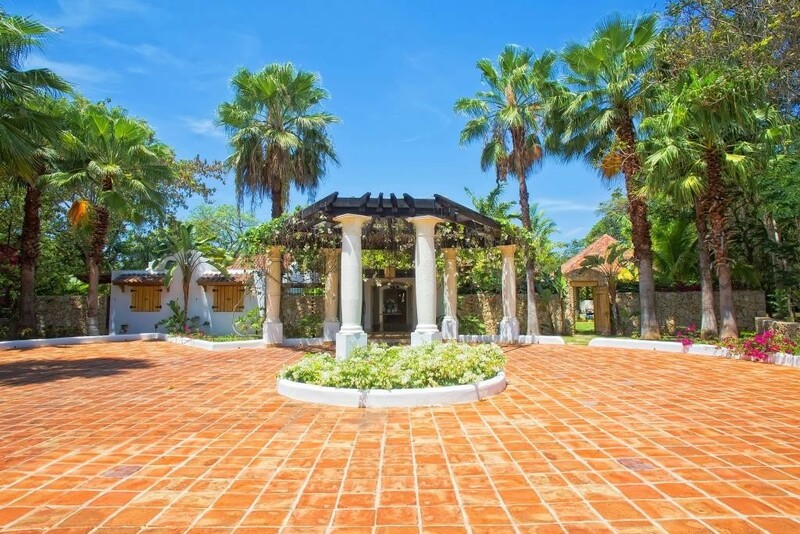 Set in Casa de Campo in the Dominican Republic, the four-bedroom villa provides a truly impressive array of amenities in addition to its access to the resort's many services and activities. Many guests are immediately won over by the exterior with its wooden framed windows, terra cotta tiled roofs, and elegant columns. 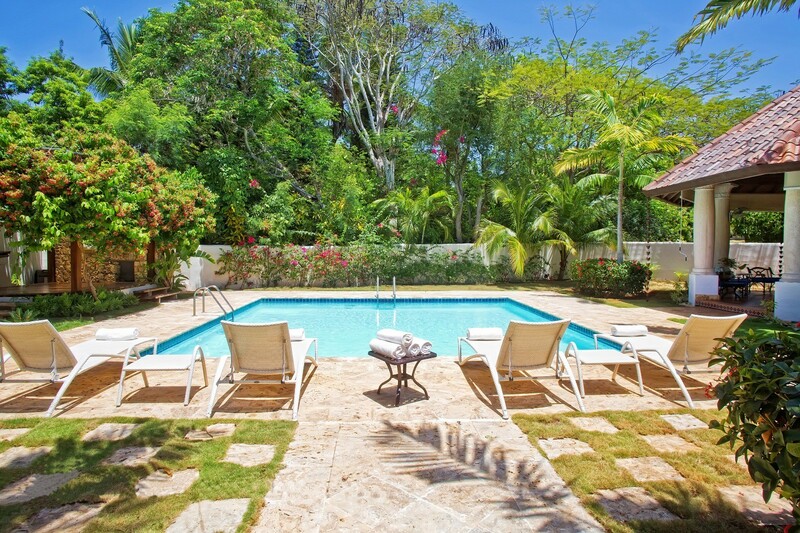 The large gardens and walks lead you to the most beautiful outdoor spaces, including the pool terrace. 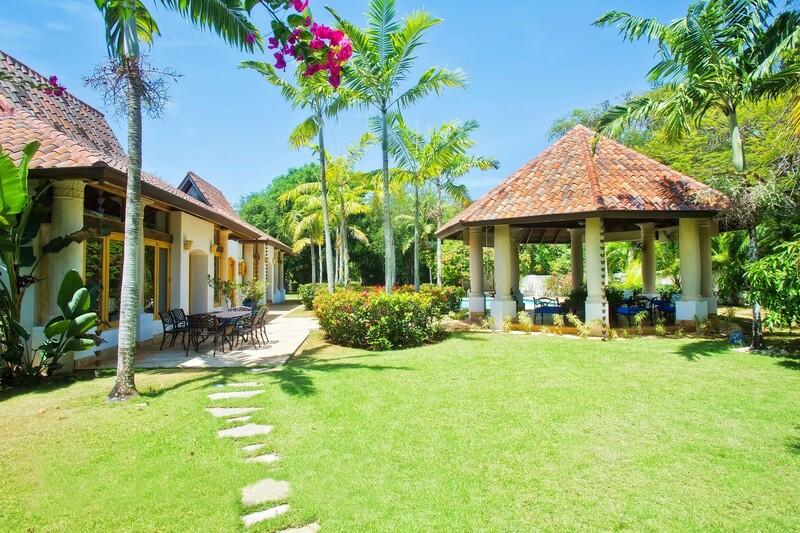 Here you can enjoy al fresco dining beneath the shade of the gazebo or along the stone terrace. Step inside, and the same gorgeous design and inspired décor welcomes you. A high wooden ceiling frames the warm and comfortable living room with several different seating niches and a media area. 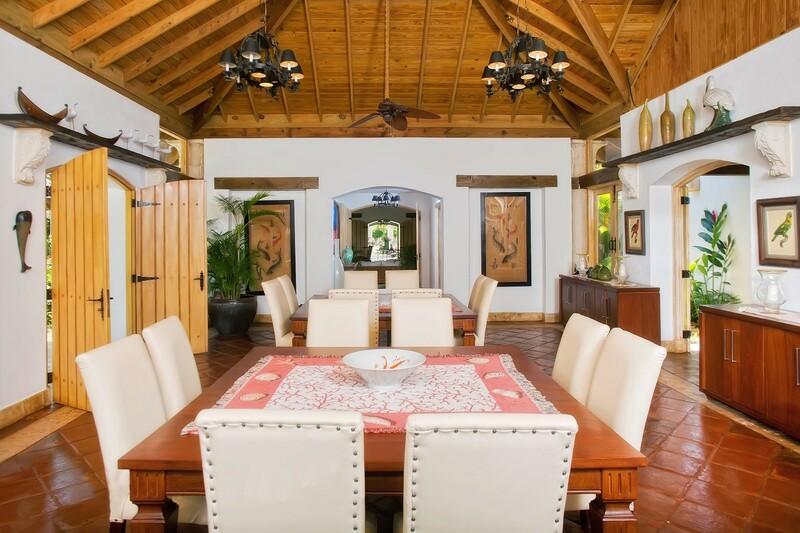 Through one of the many arched doorways you can enter the formal dining room capable of seating a large number of people, it leads you to the kitchen or the terrace. Daily breakfast is served in the villa, but you will relish your time in the fully-equipped kitchen that is open to the garden. 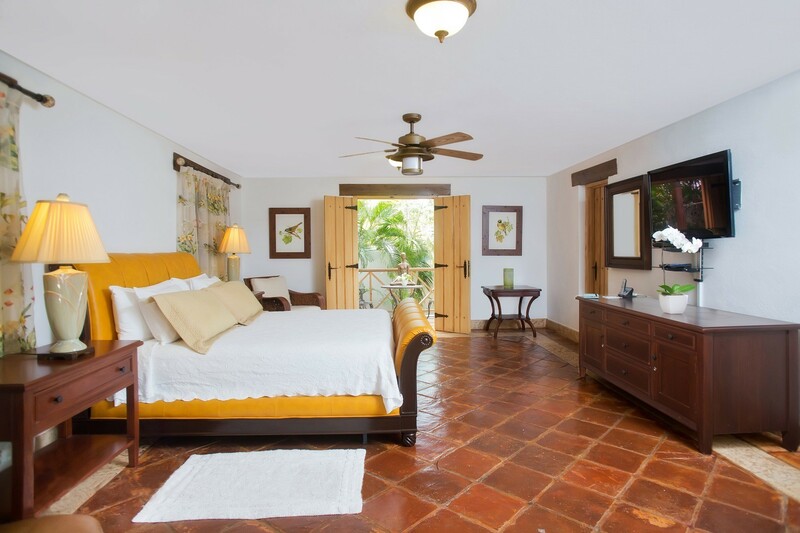 The bedrooms in the villa have been positioned and designed to optimize the setting and ensure privacy. 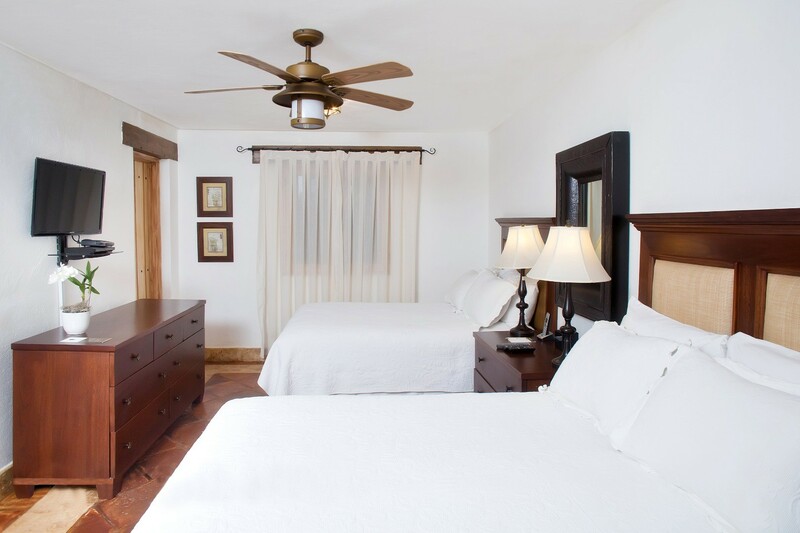 The master suite offers a four-poster king bed with a separate lounge area and private access to the garden. The large ensuite bath features truly beautiful décor. 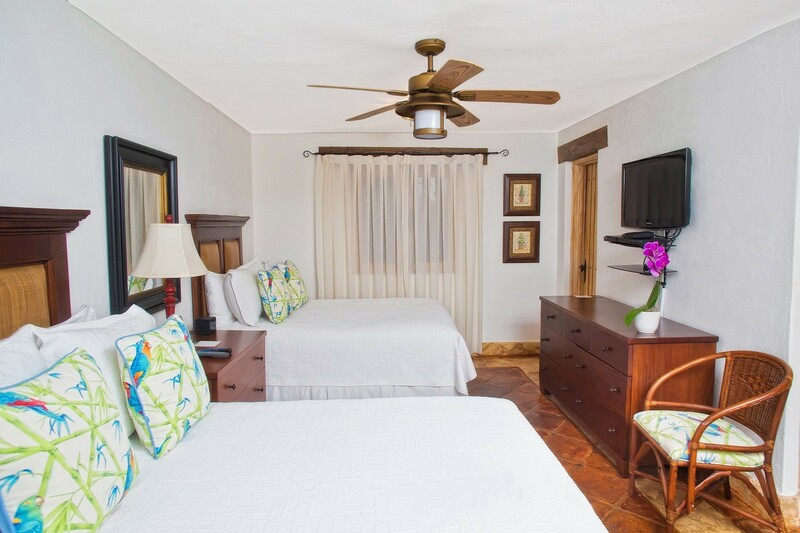 The remaining suites each feature two double beds, entertainment systems and private baths. They all access the garden as well. 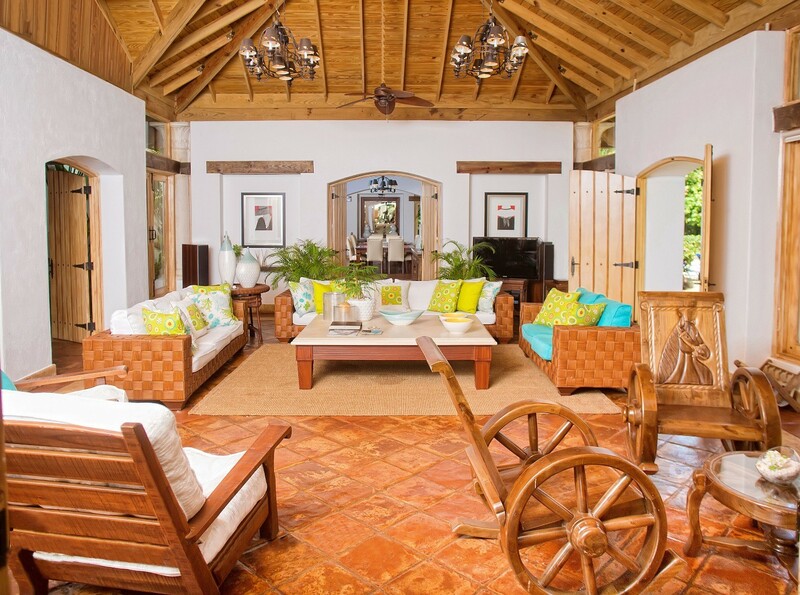 Villa del Campo is staffed with a housekeeper, butler, concierge and cook. It provides access to the facilities at the resort, and is a fantastic option for those in search of the most luxurious holiday possible. Known as the most exclusive resort in the Caribbean, Casa de Campo Hotel and Villas sits on more than 7,000 stunning acres along the southeast coast of the Dominican Republic. It is an amenities-rich paradise offering everything from a marina and tennis to a polo facility, three world-class golf courses, a shooting center, gourmet dining and the full services that distinguish them as the finest destination imaginable. Bedroom 1: Master bedroom with a four-poster king-size bed, TV, Lounge area, ceiling fan, A/C, access to the gardens and en-suite bathroom with shower, vanity and WC. 2 guests maximum. Bedroom 2: Bedroom with two double beds, TV, ceiling fan, A/C, access to the gardens and en-suite bathroom with shower, vanity and WC. 2 guests maximum. Bedroom 3: Bedroom with two double beds, TV, ceiling fan, A/C, access to the gardens and en-suite bathroom with shower, vanity and WC. 2 guests maximum. Bedroom 4: Bedroom with two double beds, TV, ceiling fan, A/C, access to the gardens and en-suite bathroom with shower, vanity and WC. 2 guests maximum. Del Campo is offering 33% off for travel between April 21, 2019 and October 31, 2019.